How long time do this species use to become adult? I have many many nymphs now. They like hiding places. Mine are more "calm" when they can hide and they havent tried to escape since then. What do the habitat for Blaptica dubia look like in the wild? Nice! How many cool (all of them are cool) species do you have now? I collected some Oniscus asellus from my garden. What do you think of their enclosure? 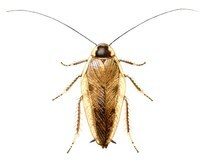 Any new update about the roach? You could keep them in room temperature with no substrate. But they like moisture. Hiding places is important. One of my hissers figured out how to open a slide door with her head plate! Because of that I had to use another terrarium. I tried feeding mine grapes, and they love it! I am getting sundews, for they are easy, fast and cheap to grow. The sundews can only eat tiny nymphs, but it doesnt matter if I check the terrarium often for nymphs that they can eat! I think on using pitcher plants for the larger roaches, and use venus flytraps for the tiny nymphs. Idea for population control I do not mean to do this for fun, but only for controling my pet roach population. So I am sorry in advance if someone is disgusted by this... When my cockroaches will get many more than the few I have now, I will try an "experiment". Becuase I do not want to have too many, I am gonna feed them to carnivorous plants. I do not see how this is different from feeding cockroaches to scorpions or tarantulas.